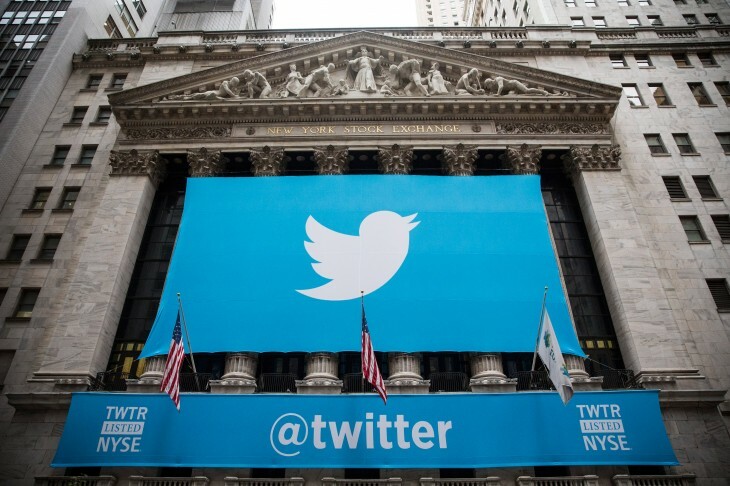 Twitter is now a public company having successfully opened up its Initial Public Offering (IPO) on the New York Stock Exchange (NYSE), just five years after the social network launched. It uses the stock symbol TWTR. The opening transaction was for over 11 million shares at $45.10 each, reportedly valuing the company at valued Twitter at $25.04 billion. That’s a 73 percent increase on the $26 offering price set by Twitter yesterday. Sir Patrick Stewart rang the opening bell, opening up the first batch of Twitter’s 545 million shares. The company is set to raise $1.82 billion in funding today and has a fully diluted share (including restricted stocks and employee options) value of $18.3 billion. While speculative talk of a potential Twitter IPO has been circulating for some time, the company actually waited a little longer than some of the other social media behemoths that have been taken public in the last two years, such as Facebook which raised $16 billion with its IPO, and LinkedIn which listed at $45 per share.